Vermont is a state with a stellar environmental record. From the nation’s first bottle-return laws and anti-billboard legislation, through landmark development tools that control sprawl and conserve farmland, we are pleased to live and work in a state that has made an enormous difference, and has served as a model for the region, nation and the world. Funding tree planting for new forests. We believe in sustainable business practices. This is why we support the Hardwood Forestry Fund – they plant the tree species we sell. In support of local agriculture. Family farms are an important part of the Vermont economy. We support local agriculture by donating all of our sawdust and wood shavings to local farmers, who use it for bedding for calf and cow. 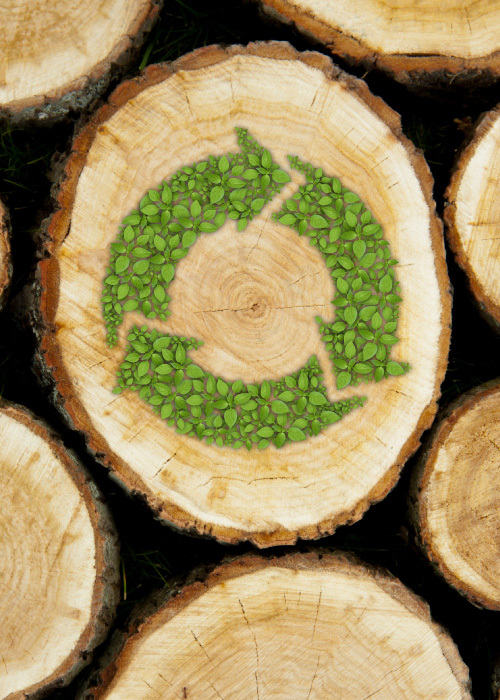 100% of our solid wood waste is donated to deserving families in the community who use it to heat their homes. We convert our surplus boxboard into packing. Unlike the other guys, we don’t operate a 10,000 mile supply chain with the trans-Atlantic woodworking industry. 98% of what we sell is made right here in our Vermont woodshop. Almost all the wood we use comes from the North American continent. Your purchase helps provide great local jobs for the skilled craftspeople who live in this very rural part of our nation. More than 25 local families prosper when you purchase from TableLegs.com.